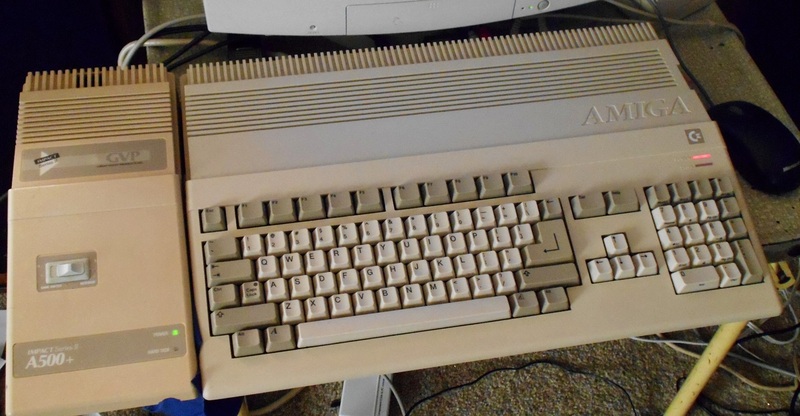 The Amiga 500 was the top selling Amiga model by far. To this day, while it seems like a silent majority, real Amiga users are still primarily using the good old 500. 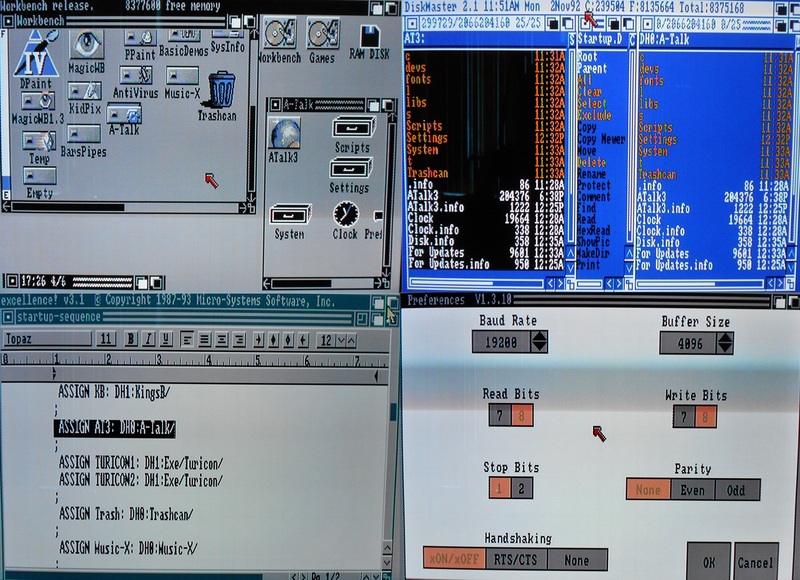 Not just the 500 computer, but Workbench 1.2 or 1.3 as the operating system. Many power users would have you thinking otherwise, with most new games or utilities coming out with at least Workbench 2.0 in mind… Games requiring accelerator cards to run yet they are far less advanced than a typical C64 game. You’ll be hunting if you’re on Aminet looking for some quality shareware for 1.3 – Yet practically every single commercial game and utility made sure it could run on the 500. Why? Because that’s where the people were. ^Oh so powerful, oh so awesome, it does not just play games - Start utilizing it! Those other guides assume, and they assume incorrectly… I actually do believe that this is the guide to getting “The Amiga” online. If it will work for the 500 then it should work for all of the others… I’m pretty sure anyway… But since I only know that it’s going to work with what I have, well, how about a breath of fresh air in the title? – Also I find that one extra word in “500” to actually elevate this guide above the others, because it was not easy to get the Amiga 500 online. It seems to be easier to get the C64 or VIC-20 online... Not because there's anything wrong with the 500, but because the power users stopped caring... Not I. For me… Hopefully this guide will make it much easier for you. I had absolutely no help in collecting the information for this guide. All other guides steered me way off track, all advice simply did not work. I give absolutely no thanks to anybody on the internet for the collection of this information other than myself, and Intric8 for links to a couple good BBS’. I felt stupid trying in vain to get this to happen, and to get it to happen cheaply… Because when nobody out there can even tell you how to get your system online in the first place, why would you want to pay money on new hardware you don’t even know is going to work? Not only do most other guides focus on the 1200, they also focus on getting the 1200 to browse the World Wide Web. I don’t care what you’ve added to that thing; browsing HTML sites on an Amiga is not going to be a fun time. And when it comes to the 500, I could never find a web browser made for it anyway. 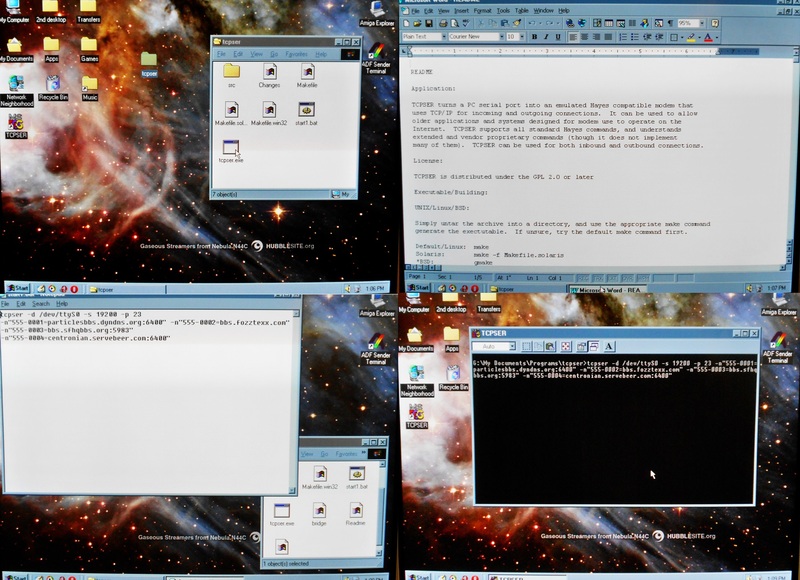 Speaking from experience with my DOS/Win3/and Win98 computers connected to the internet via web browsers… It’s not fun… It’s cool because they can do it; but it’s not fun. The Bulletin Board Systems, on the other hand, are fun to this day. The Amiga 500 had many terminal programs released for it that could go on the BBS’. Though in terms of this guide I was only able to get one out of over 5 to work. Perhaps a glimpse of the non archived manual would help? We’ll never know, because most of these terminal programs are not intuitive… But I did manage to find one. Download it here. Source credit: Retro Commodore (50MB). You will need an Amiga. I’ll be using the 500 but I’m pretty damn sure this will work for all Amiga’s. You will need a terminal program for your Amiga. I will be using A-Talk III, the only program I was able to feel my way through and get working. You will need a null modem cable to connect to the serial port of your Amiga as well as a nearby PC. I believe most real Amiga users these days will already have a null modem cable because it is the easiest way to transfer .adf disk images from PC to Amiga. If not, it is a relatively cheap cable. On your PC you will need the program TCPSER; a command line based program that emulates a Hayes modem of the era. That’s all you need! So let’s dive in! 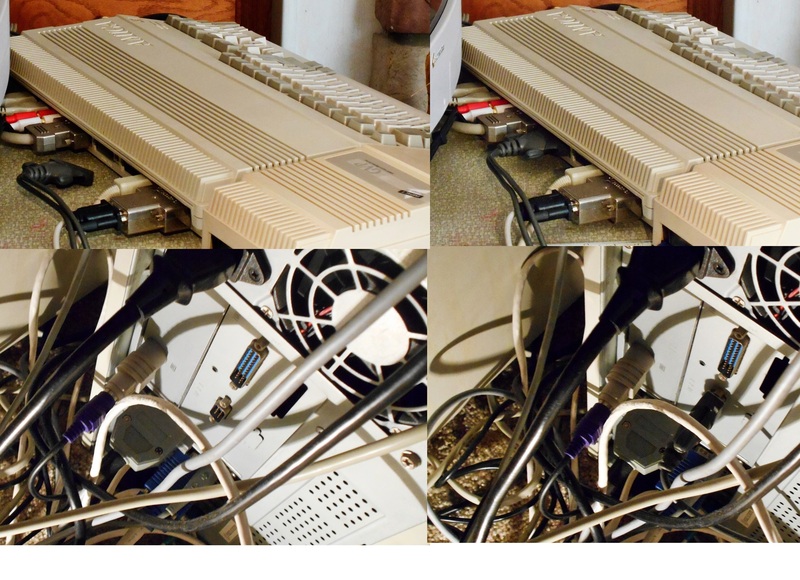 Start off by connecting your Amiga to a PC with that null modem cable. Hopefully you've got a hand me down or retro system around with a serial port. There are USB serial solutions if you can’t find a PC with a serial port. Download TCPSER and place it wherever you please. In order to get any use out of this command line program you’re going to need to create a .bat file with commands saved that will run when you start the program. There should be a readme file with the program that will help you with the various options but I’ll be showing you what works for me. Make sure to save that file in ASCII format and give it a .bat file extension. The ttyS0 part of the above command refers to the serial port you’re using on the PC. In my case it’s serial port 1, which is labeled as 0. If you’re using serial port 3 you’d write 2 where the 0 is. 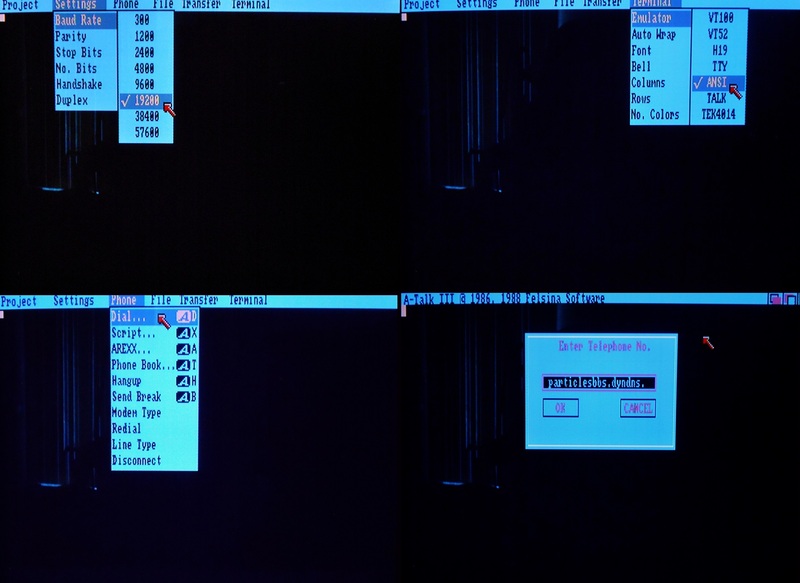 –s refers to the speed you have your Amiga’s serial port on. For early Amiga’s I believe this is the fastest you can go without running into transmission errors. You may wish to experiment; but 19k is pretty damn fast for the places we’re going. –p refers to the default port used, 23 and 6400 are both popular ports to use. That’s all you “need” to get the modem emulator working. However, I will highly recommend adding some more lines with the –n switch. This will let you create “fake” phone numbers for the websites you visit, allowing things to go much smoother on the Amiga end, which is expecting you to be dialing telephone numbers, not web sites. When you come across a board you enjoy, it would be best to give it a phone number using the –n switch, which I will demonstrate in the next line. There we had 4 different boards, each with their own –n switch and made up phone number. I believe you may input as many –n switches as you’d like. Run the .bat file and you should be all set on the PC side of things. Transfer the Amiga terminal program A-Talk III to floppy using any method you wish. Download the ADF here. The program runs fine from floppy disk but since I believe power users will want this on their hard drive I will be giving a hard drive installation tutorial for A-Talk III. If using just the floppy disk, boot from the floppy. When in Workbench go into your serial port preferences and match them with the above picture. A baud rate of 19200, read bits 8, write bits 8, stop bits 1, parity none, and handshaking XON/xOFF. Since reading the manual I’ve found out there is a way to get RTS/CTS handshaking to work, but since I have not experimented we will have to save that for a full review of A-Talk III. Make sure to save those settings and restart your Amiga. If you wish to install A-Talk III onto your hard drive I recommend having a nice shell like Disk Master or Directory Opus. First duplicate an empty folder on your hard drive, then rename it A-Talk. Go into Disk Master and copy all files from DF0: into your new A-Talk folder on your hard drive. Also copy all fonts from the font directory in DF0: to the font directory in DH0: Open up a word processor of your choice and load up your startup sequence, located in DH0:s/ and find a place to write the following line. In the previous line AT3 referred to the name of the floppy disk when inserted into Workbench. DH0:A-Talk/ is the location of the folder I used on the hard drive. The terminal will run just fine right from floppy but if you can manage to get it on your hard drive I know I certainly find plenty of uses for that. Make sure to restart your Amiga after those changes as well as take the previous serial port settings, only on your Workbench hard drive’s preferences. Upon loading A-Talk III make sure to go into the settings menu and match the settings like Baud Rate/Handshake with that from your preferences in Workbench. This is a feature rich terminal program, find and read the manual if you want to know all it offers. I will note the default color palette is 4 colors and emulates EGA… Yuck… You can use up to 8 colors and change them to any 8 you wish, you should… The screen also defaults into a windowed Workbench screen which I noticed cuts off some text on BBS’, so I use it in full screen mode. There are many terminals A-Talk can use, for diving in on our first time I will recommend using ANSI. Make sure to save any settings you wish to keep otherwise it goes back upon restart. That’s really all you need for now. Go under the phone menu and click Dial! If you created fake phone numbers earlier you could use that number at this time, but A-Talk will allow you type in the entire web address from this menu. ^ Signing up can be an adventure, play countless games, even tweet! These Bulletin Board Systems are just too much fun. Read E-Mail from friends, read and post replies on thought provoking message boards, play countless online games, even download files right to your Amiga! Just the act of signing up can be an adventure! Make sure to check out my video for a much more in-depth look at the boards themselves and the fun they provide. Found a file you wish to download? A-Talk offers many download protocols, just match one up with one the board offers, wait until it asks you to select receive, and then go into your menus and click receive. The file will be downloaded into the root directory of your floppy disk or hard drive. 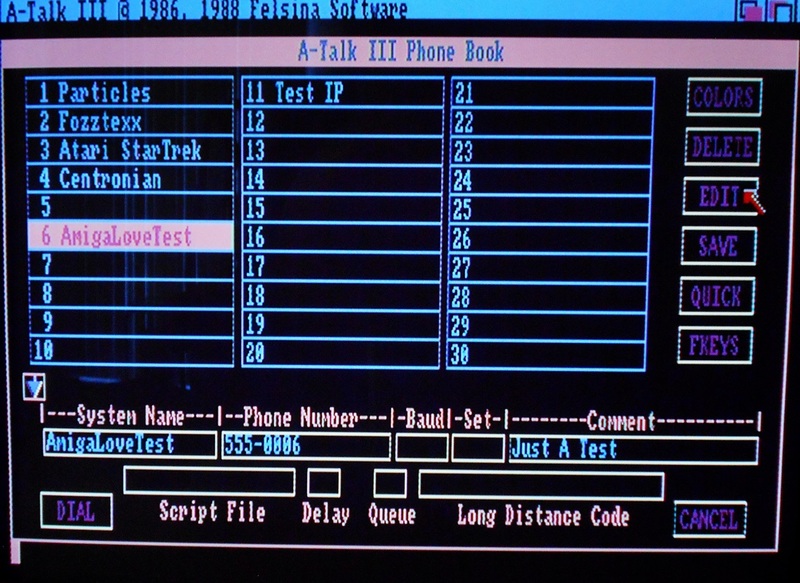 A-Talk features a handy phone book feature that honestly took me some time to figure out. You can write the name of the board along with a fake phone number here. You will not be able to save the actual web address here though, as it’s expecting a short phone number. Make sure you click “edit” in order to place the information into the phone book, then save. Also click on “quick” and make sure those settings match what it should. Colors can be changed for every site. Once you have this set up simply click the name of the place you wish to visit and click dial. Conclusions... You Can Do It! I had no nostalgia for BBS’. No memories of using them, no attachment to that “style”. But I fell in love almost instantly. It’s just too bad it had to take this long for me to figure it all out. I’m still learning, I’m a noob with the commands on the boards, and there’s a whole lot more A-Talk has to offer than I’ve shown (even speech!). I implore you all to give it a shot. Following this guide should be cheap (I hope free) and give you the opportunity to see if you love this stuff to. Should you indeed love it, there are more permanent solutions that don’t involve long null modem cables going from computer to computer… Perhaps a Raspberry PI… I’m hearing about a WI-FI based modem that might come out for the Amiga as well… But those cost money, you deserve to know if you’re going to like this stuff first. This is the proper way to start. Have fun with those old Amiga’s…. You don’t need to have a 1200 to be a power user! Get online with that Amiga! I think you’ll have a blast…. Multiask as well! Read/post messages while listening to a mod player in the background, save screenshots from your Amiga itself... Fun shall be had. 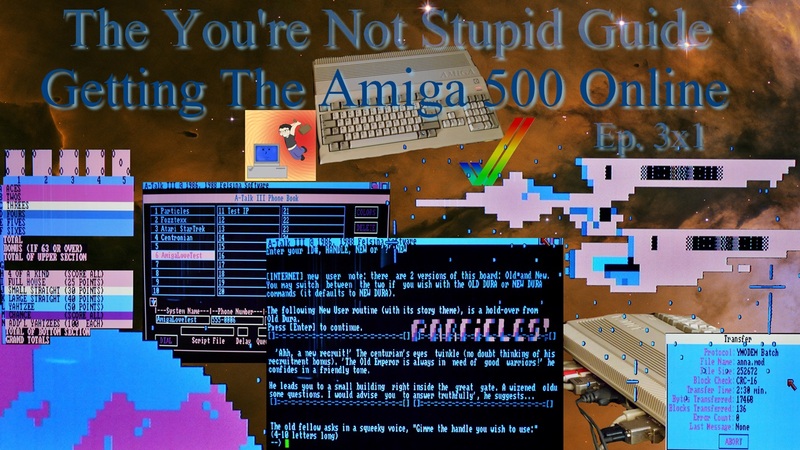 Be sure to watch me having a blast in video guide on getting The Amiga 500 Online. Want to give this a go yourself?! The following are links to the programs I used. I will link both the orignal (virgin) sources but I'll also link my personal (used but experienced) versions so you might be able to skip a step here and there, though please double check everything. A-Talk III ADF Disk Image - Original floppy disk unused. A-Talk III's extensive manual so you may dive deeper. Sourced from Retro Commodore (50MB). Head over there for a 200MB version that is fully searchable, too, if you think you might want that. A-Talk Hard Drive - Copy of my A-Talk Hard Drive version with icon file, double check your workbench serial settings, copy fonts to HD fonts directory and assign AT3 in your startup-sequence. ONLY NEEDED IF YOU WANT AN HD INSTALL. Love this guide you made. I never used a BBS, but maybe I'll give it a try if I have time. One of the things I loved about this guide is that you focused on the A500, an Amiga that has been ignored for systems like the 1200 and 4000. I totally agree with you on the attitude of the Amiga scene. I've seen an OCS game require an 020 processor, which is nuts because no OCS Amiga comes with that processor. There are probably more extreme examples, but that one came to my mind as I write this. I'm perfectly happy with my NTSC A500 with 1 MB of RAM. I don't feel the need to add a faster processor. I love your posts Shot97, keep up the good work. In their love for all things Amiga I feel people often forget about their high school sweetheart in favor of the upgraded blond bombshell... But love is not only an attraction, it is a choice. My enjoyment is in finding all the new and fantastic things I can do with my first crush there. I've done the 1200 thing via emulation... I had it browsing the world wide web, I had this high resolution picture of the Enterprise as a wallpaper... Not saying it can't be fun, but I will say loudly there's a lot more fun to be had on the good old 500 than most people realize. They don't even need to upgrade the kickstart. I've got MagicWB on mine, which is not even supported, but can be done. I love finding new and impressive ways to be more of a power user on that thing... Because as nice as the blond bombshell might be, at the time she was introduced there were more impressive models coming from the PC world... When introduced the Amiga blew everything away, and that very same model was still blowing off socks into the mid 90's because of what she could do with what she had. Older but damn impressive. Everyone can flock to the newer Amiga's because of ease or because they do more, but "impressive" they never were. Now if I had a 1200 I'm sure I'd get some use out of it, but it's the 500 I love, and it's the 500 I "choose". I've moved the necessary files over: A-Talk III, 64Door and ColorTerm 2.2. Looking forward to trying this out soon! Shall be so very cool if I can get it to work like you did. Don't forget the colonel's bequest while you got those cables out! Oh crap - yeah. Thanks for the reminder! Well... Tried out both 64 Door and Colorterm 2.2 - drum roll? 64 Door sat there with a blinking cursor and I swear I pressed every damn key and help was the only thing that did anything... Not much help I gotta tell you that... The included document file was also of no help what so ever with actually using the program. Nothing. Not a damn thing. Colorterm 2.2 - Let me type a whole lot of gibberish onto the screen. Not much else. No documents for that one. Both look to be freeware, not commercial, therefore there is no documentation. Beyond that, if they did work they are 100% only for use with emulating the C64, they both launch in a separate screen and close Workbench, no multitasking. In the end it's the exact same problem I had with the few terminal programs that would work under Workbench 1.3 - They are purely 100% - A Shot97 guarantee - Not intuitive! I found one, count them one program that could be figured out on your own. A-Talk III. That's it thus far, and indeed I've been trying out more than I want to at this point. I mean you have experience with the C64 BBS stuff, so far all I know you'll walk into it knowing exactly how the hell to get these things to do ANYTHING... But I don't know... Does the "modem" need to send commands? Fat chance of that happening.... I know some of the programs require a few letters to be type before a phone number, yeah, be nice if they told me which ones to use, because no terminal software I've come across has. So find yourself a Hayes modem manual, and maybe you'll figure something out... Or use A-Talk III, cause it just works. - By no means was I ever trying to say the Particles guys don't know what they're talking about. In fact both them and I know what we're talking about. They lived it, they were around back in the day, they breathed it, they ran boards themselves... They know too much for their own good in a way. Put these two programs in front of them, I'm sure they'll school us... But I knew as someone who has been tinkering with this on and off for years something they shall never understand; For the people who have never been involved in that scene it is nearly impossible to grab a couple programs and get it working. It's impossible. Especially on the Amiga for some reason. Hence, why I had to figure it all out on my own... because believe it or not I had been steered in certain directions by people who knew what they were doing... They know a lot I"m sure, but they forgot what it was like before they knew! I don't think it would help a guide for cruising old BBS boards on the Amiga to complicate with further steps to take to use another terminal program. Other topics would be best described as using "64 door", review of "colorterm 2.2", I don't foresee any program stepping up to take ease of use away from A-Talk III. Which is a relief in a way, cause while I tried out a whole bunch before I did the guide, I was wondering if I had tried enough... I now know I have. There may be a better one out there, but when someone has tried out a good 15 terminal programs, many of which recommended from people that used them in the past, and none of them worked... Nobody ever mentioned A-Talk to me, I found it myself. And I'm so glad I found it, because I'd still be out there banging my head against the wall if not. 1 for 15, maybe more than that if you take previous half hearted looks into account. When 1 out of 15 work, your search for a better program may not be easy my friends. rant complete... shaking my head... I just don't get why these programs are written in the way they are... Chapter closed for me on this one. No new information need be collected, I'm satisfied with my conclusions. The only thing I'd like is to see screenshots of someone else following the guide and showing them on a BBS, to know that I had written it well. I'm still hopeful I will one day figure out some other programs and add some variety, but I just know this guide is the best place for Amiga users to start, and good luck to you all with figuring out the other programs... I think you'll need it. Huh - weird. You can't just type AT modem commands? Couple of things to make note of to keep sanity..
That's not to say there's not a way, that's to say that these programs are not intuitive. I have never once used any kind of modem command for A-Talk III, it simply just works! Whatever it needs to do it does it behind the scenes and it's the only program to do that it seems. That page you linked me... That has no business being a part of the knowledge base for people who want to try and get into this stuff. For those that have used programs that require it, I feel bad for them. But that's the type of stuff I'm saying when I say some of these people pushing others to this or that program they remember using... They had to buy a Hayes modem... Nobody today is going to have a real modem, they are not going to naturally come across some of these commands. Of course most Amiga guides do not point to a BBS, they point to the World Wide Web via the A1200. This is me, walking around alone, with no experience what so ever in this scene figuring out how to get it done. I did not try any modem commands with 64 Door and Colorterm. I don't see how I could have, considering one program would not let me input anything via the keyboard and the other had nothing but character sets... If I go back there with caps lock on and get somewhere... I can't say I want to be mad at myself over any of this honestly, cause it truly feels like bad design. Either the program should do it itself, or the documentation should make this stuff clear. Of course for most programs it's going to be hard getting yourself a hold of the documentation, which is a major hindrance for those trying to get into this stuff. Like I said, you might get it working, as someone who has never touched a Commodore 64 terminal program I would have absolutely zero idea of what I should do, and it would really be nice if the people who made these programs made them intuitive. If ATDT is a command that needs to be used to dial up these places, then A-Talk III does it behind your back, 1988 program folks. It all might be well and good for those who were forced to go that way... But remember I love DOS... I know all about commands.... But to shove anyone in front of DOS for the first time? Not going to turn out well. I'm starting to think I hit the jackpot with this program. I didn't even like it at first! I thought it didn't take advantage of the Amiga, but apparently people that were doing the BBS things years later didn't have things as nice. Yeah, no I get it. Modem commands are what a bunch of terminal programs required BITD to dial, etc. I've looked at A-Talk III and it looks like a fantastic option for connecting to most boards. I'll use it first, too. But yes - I think there are some peculiarities when using TCPSER and a terminal program (that doesn't have a GUI) together that will take a bit of experimentation. Also, in terms of TCPSER, I've been told there are ways to create aliases on that side, so you don't have to type things out after you get them going. Like, you could type "atdt particles" and tcpser takes care of the FQDN and port. But that's more a "phase 2" as far as I'm concerned. First things first.